Dave Ball, Pauline de Snoo, Peter Dyson, Roger Gawley, Helen Graham, Jeremy Hague, Martin Henshaw, Ian Radcliffe, Göran Rahm, Claire Wren. Pauline de Snoo, Jim Cush, Peter Dyson, Roger Gawley, Martin Henshaw, Sue King, John McKenzie, Matthew Majella Talty, Randall C. Merris, Gill Noppen-Spacie, Göran Rahm. Pauline de Snoo, Peter Dyson, Roger Gawley, Bill Finnegan, Jeremy Hague, Martin Henshaw, Brian Hayden, Paul McCann, David Palmer, Göran Rahm, Mike Wild, Dan Worrall (photos for Concertina Cruinniú). Dave Ball, Felix Castro, Jenny Cox, Geoff Crabb, Jim Cush, Pauline de Snoo, Mike Dixon, Dave Elliott , Sally George, Helen Graham, Anne Gregson, Lynda Griffith, Angela Hammond, Martin Henshaw, Richard Mellish, Göran Rahm, Howard Rosenblum, Dave Townsend, John Wickens. McCann, Göran Rahm, Margaret Walker. A class for free-reed instruments was re- introduced for the 100th season of the Taunton Music and Drama Festival after a lapse of a couple of decades. 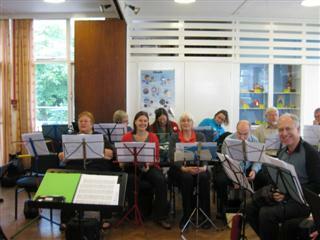 On Tuesday 12th November 2013 J25 Concertina Band was delighted to participate. 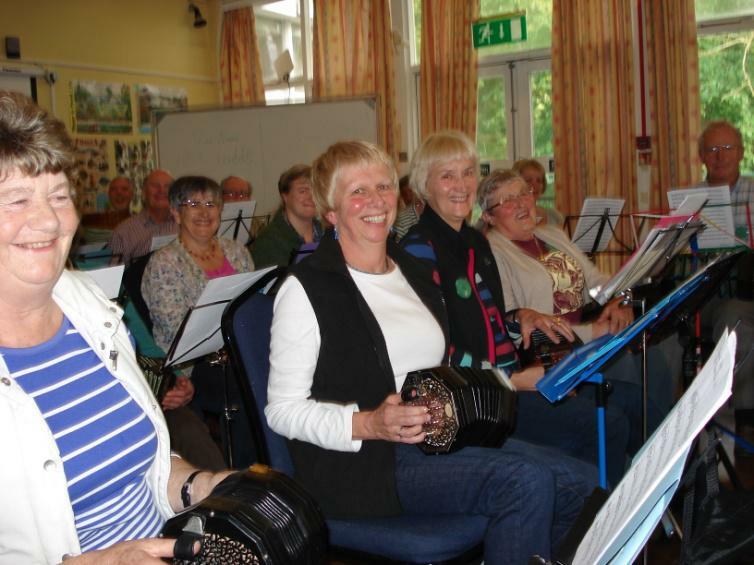 Following on from a wonderful weekend in October for beginner and intermediate players, the West Country Concertina Players have once again booked Kilve Court, Kilve, Somerset, for our March residential weekend The dates are: Friday 21st to Sunday 23rd 2014.